Most elderly Australians want to stay independent and in the comfort of their own home for as long as possible after retirement. That is why home care is becoming an increasingly popular alternative to nursing/retirement facilities. After all, goes the saying, ‘home is where the heart is’ and when someone is unwell or frail it’s the perfect place for recovery and rest. It’s a sanctuary where familiarity is comforting and memories are real. After dealing with many elderly people and their families over more than a decade there are some things we’ve been hearing over and again. 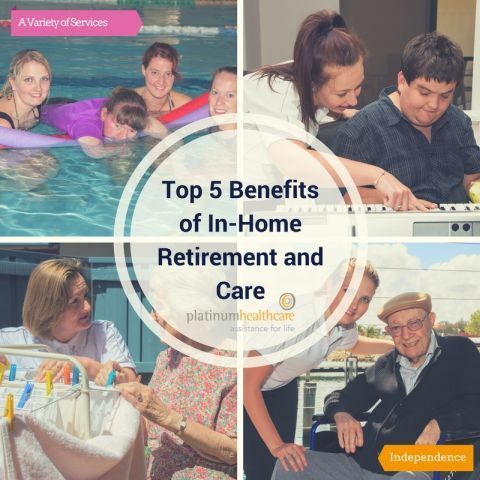 Here we’ve compiled an informative summary of the top 5 benefits of homecare. Having care in your own home means one-on-one personalized support, as opposed to being the one in many residents in a nursing home. Firstly, Care Plans are designed to focus on your individual needs and preferences whether it be how and when to take medications or specific types of meals. If certain needs increase or change over time, support can be easily altered. Home care is also very flexible in that you can decide when you want to receive support. Services can range from an hour a fortnight to 24/7 live-in care on any day of the week. This allows you to easily keep or arrange your own schedule. There is also flexibility with which carers attend to your services. Most service providers will allow you to request the same few carers to come and help you at home. Home care helps to maintain a sense of independence and can diminish those feelings of helplessness and depression that may occur as we age. There is usually a significant decrease in independence when living in a facility as most tasks are done for you. With an in-home caregiver, they can complete challenging tasks for you whilst allowing you to keep doing the things you are able to. For example, a care worker may only come to your home to help you get dressed or to take you shopping or simply help you to enjoy a coffee or lunch at your favourite café. 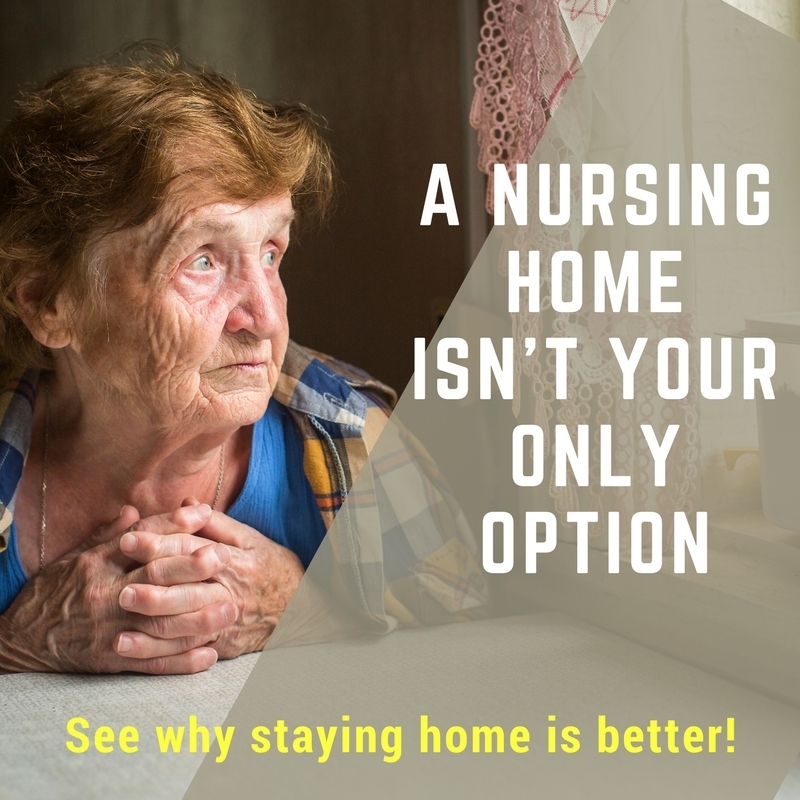 Most would agree that being cared for in the comfort of your own home has its many advantages over being in a nursing home. In a long-term care facility, your whole lifestyle is changed to fit the schedule of the establishment. You will also have to share your personal space with other people. With in-home care, your plans and schedules are still your own and you will be able to stay in familiar and loved surroundings. The transition to a new environment (a care facility) can also be quite stressful and may take a toll on your wellbeing. In-home care can take away the stress of being the primary caregiver. Support services at home can help lighten the load and ensures your family that you are being taken care of and safe in your own home. It will also allow you to be close as possible to family. In-home care may mean that you can remain living with your family, and/or stay easily accessible to those that travel to see you. Unlike retirement homes or long-term care facilities, your family can visit and stay over whenever they want to. Our support workers are not just there to help with personal care and cleaning, but are there to offer a range of different help. Carers can be there for social activities and companionship e.g. taking you out for a coffee or accompanying you to errands such as shopping or going to the bank. They can also be there to help with tasks such as gardening! Furthermore, if a company has registered nurses employed, medical services can also be provided in your home. 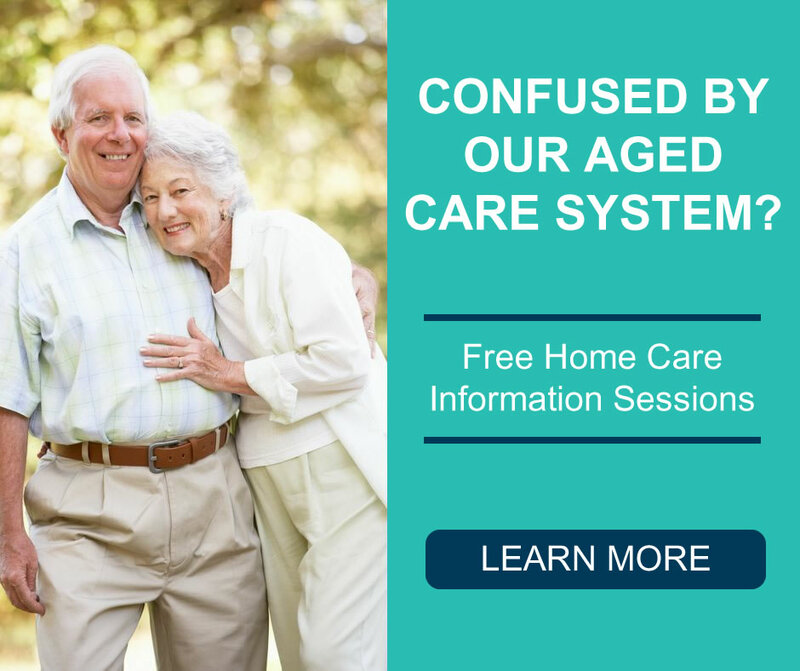 In summary, the variety of services available and the many benefits of home-care mentioned above allows elderly Australians to retire safely, happily and independently in their own home.